The kits supply you with everything you need to cover a theme. You work with your students through increasingly complex activities leading to a final summative task. The courses are designed to cycle between videos, texts and activities, and to cycle between language acquisition and thematic competency. When you order a kit you get printed copies of the book, a DVD with the videos and you also get the online kit. The online kit has the eBook version of the printed book, matching videos and activities and additional updated content. You can also purchase a subscription to access all the kits and all their content on Planet French, our online platform (over 500 videos, articles, ebooks, kits, activities…). Many of our books/eBooks come with 3 levels of difficulty in the same book, colour coded for quick differentiation. Some of our other titles come with just one specific level. John Hattie (an educational researcher) developed a list of high yield strategies that are the most effective teaching techniques for increased student achievement. The Booksmarts resources and lesson plans include and promote many of these strategies. To read more details, CLICK HERE. 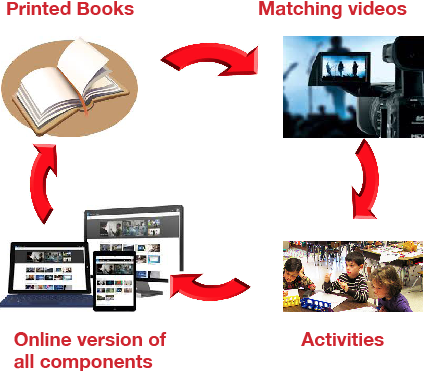 Each book section is matched with a corresponding video. 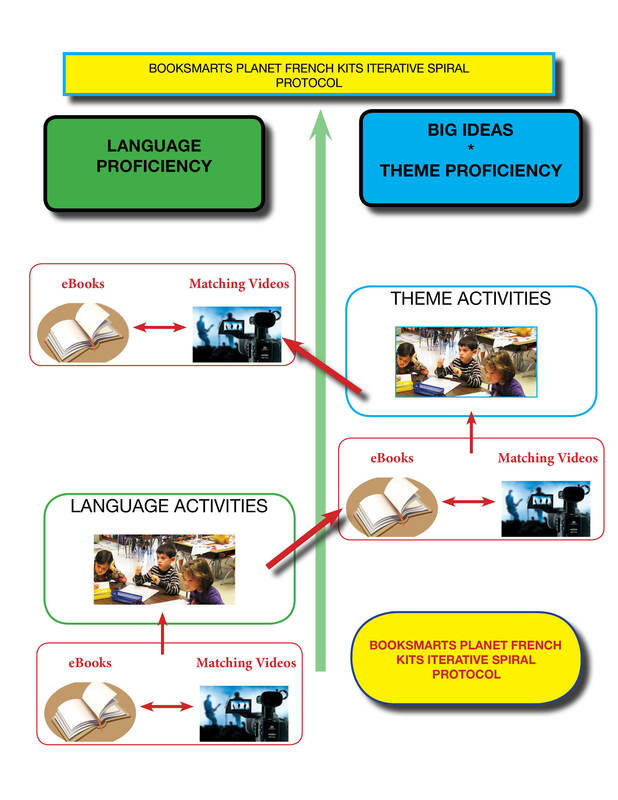 The videos allow students to see and hear a variety of French speakers interacting in authentic situations, to model them, to acquire pragmatic and sociolinguistic competencies and to gather comprehensible input. The books and videos go hand in hand. Students work together through the communicative, action-oriented activities. There’s lots of oral/aural, spontaneous conversations, writing and reading..but always with a real goal. The videos are stunning: they expose your students to a variety of French speakers and settings and capture the essence of the culture. The books feature spectacular images. Every glossy section has levelled texts supported by arresting photographs that leap off the page. The quality is unlike anything you’ve ever seen in a language resource. The activities in the teacher resources give you all you need to make your class effective. They’re packed with action-oriented, CEFR style activities leading to mastery of summative tasks. 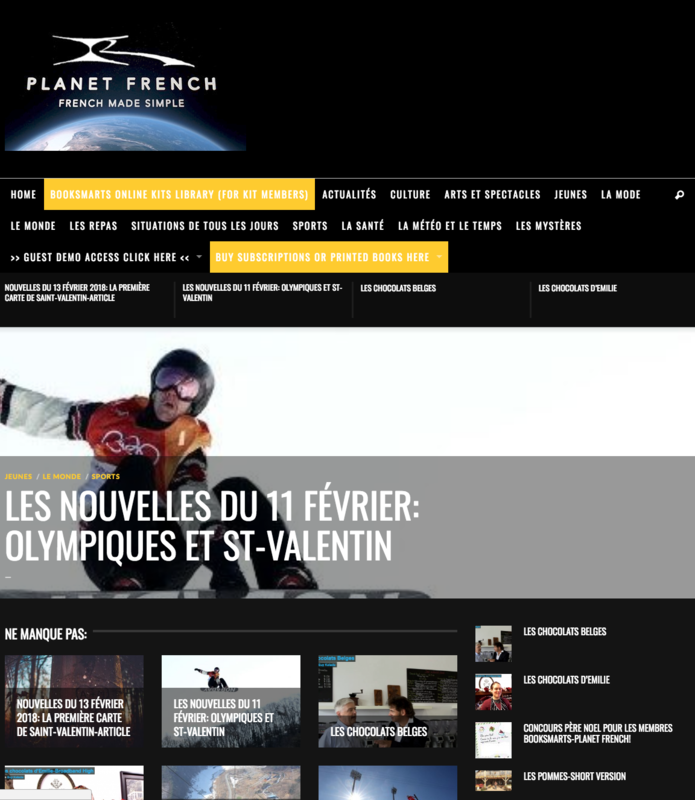 PLANET FRENCH keeps French relevant with the News and current events articles and videos in levelled French! Planet French is also where you will find all the online versions of the Booksmarts printed kits. A subscription to Booksmarts-Planet French online library gives your school access to all the content: Hundreds of resources constantly updated. The news in levelled French: These are short 2-4 minute videos or articles about either news pieces or topical subjects relevant to the time of the year. French courses: These are made up of lessons. Lessons are either an eBook, videos matching the ebook chapters, a teacher’s guide. 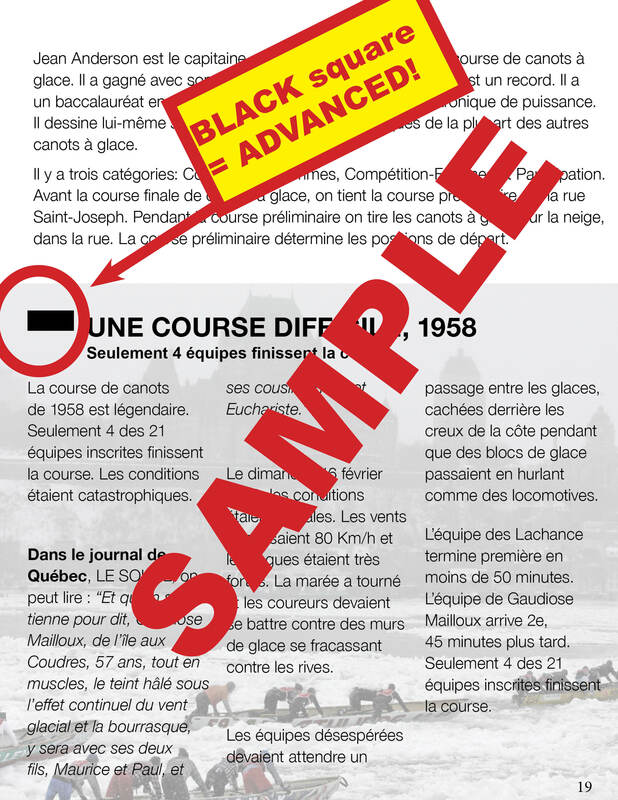 1-Look under the French courses tab. You will see links to courses by grade. 2-Look under the “Les nouvelles” tab for news videos and articles spanning multiple levels. 3-Do a custom refined Search by grade, level and/or topic using the “search” link in the sidebar of most pages (or the “search” menu item in the top menu). Students cycle through language and thematic activities. They also cycle through written, oral and video content as they go through the material. 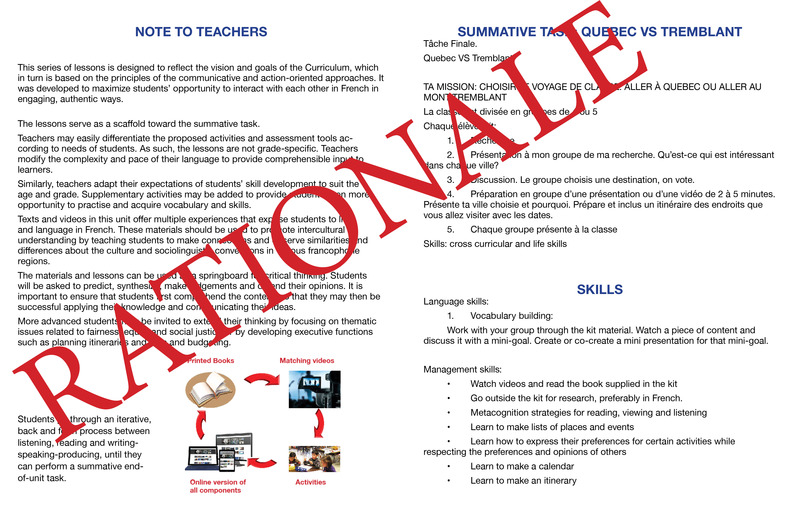 Excerpt from the BIENVENUE À QUÉBEC teacher’s guide. Students will develop language proficiency as well as integrate cross-curricular subjects and learn life skills. 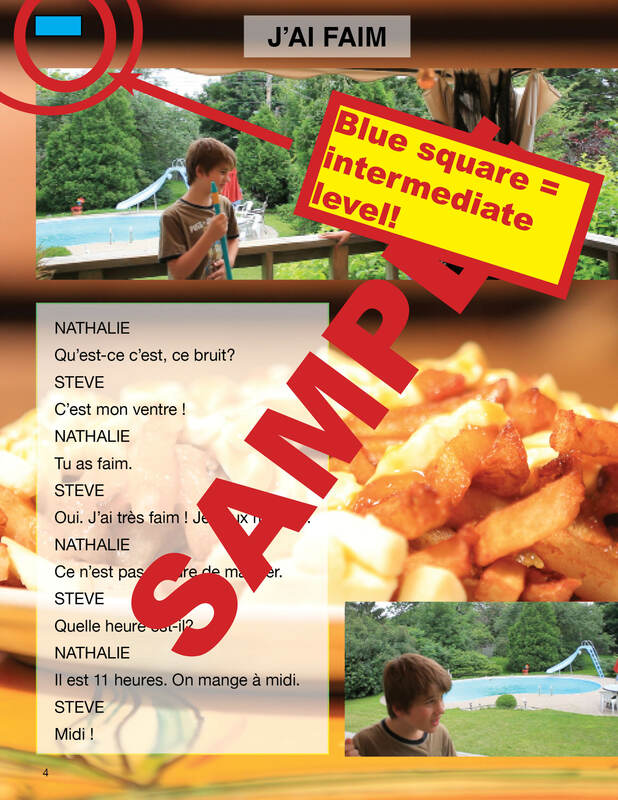 3 levels of difficulty: We offer different levels in the same books, DVDs and eBooks, including CEFR levels as well as our own colour-coded easy to use scale. This gives students stretch goals and revision opportunities. This Planet French innovation works. It ties in with the best concepts discussed by Russian scientist Lev Vygotsky and others: successive approximation and the zone of “proximal development”. I know some of Vygotsky’s ideas are controversial but this one works. French is a skill and these kits work in schools across the country. 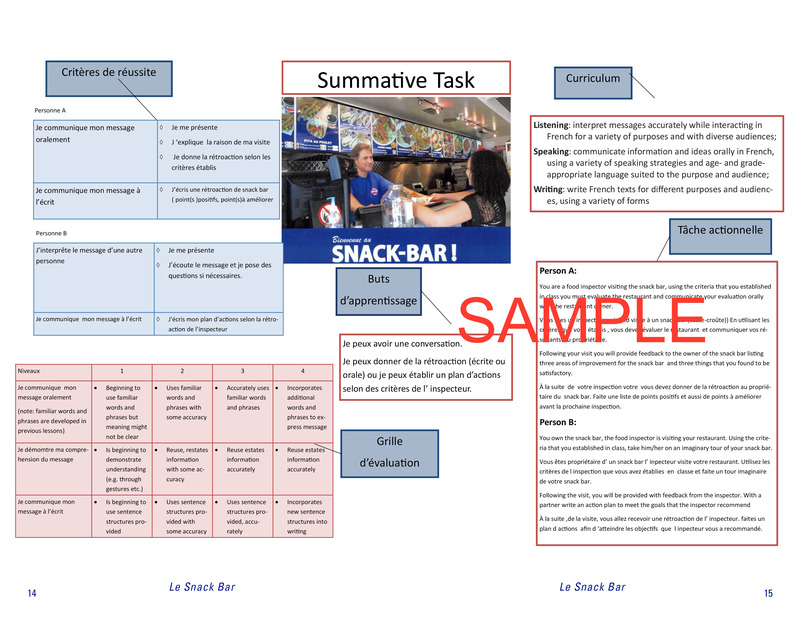 French teachers love this, as they discuss using the kits in our preview video (fill the form on the right to access our secure demo video section and watch free previews including teachers explaining how they used booksmarts kits). You project the eBooks on any whiteboard, the audio follows with professional actors reading the text and the cursor leads. You can pause anytime and model listening and reading strategies for your students. 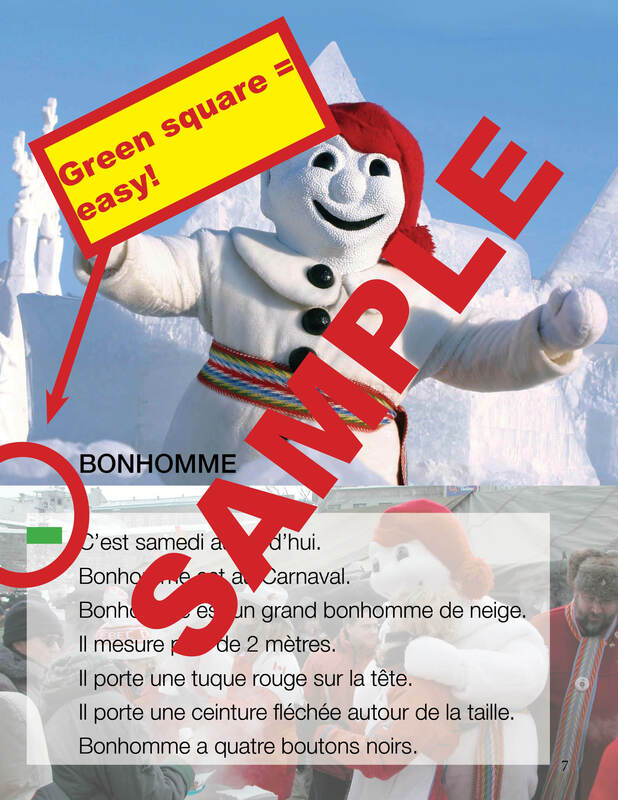 Your students are instantly engaged and now they can see French as relevant because they watch other Canadians (adults and students) interacting in French, in Canada, on the Booksmarts cultural videos in a variety of fun settings. It’s hard to come up with lessons that give students the opportunity to interact orally with each-other, then tie it all up in a summative end-of-unit task. But we’ve prepared that for you in our great teacher’s guides. to use French culture to support the spirit of the language, and more. Margie James, French teacher in Ontario, says: With the different color coded levels, it was really neat that I had it all in one pack…it’s hard to differentiate all the time…And the videos really helped as they were able to use all the visual cues…it’s great ! The Halloween videos were very entertaining and students were able to follow along with you. The topics were interesting to my intermediate students and your rate of speech is understandable for them. Judith Ward Thank you very much.